Gratitude Layout – Harbor Scrapbooking Crop Class on September 22-25, 2016 – Order by September 7, 2016. The layout is pre-cut and pre-stamped for you. All you have to do is take a picture with your phone, distress the pieces as you see fit, and assemble!! This class is made for you to come to class and make it or make it at your cropping station, which ever works best for you. Due to the nature of the new Fundamental Paper Packs, the background and texture paper colors will change (unless you purchase the full kit). We are using the Enchantment Fundamental Papers and the Adventures Compliments! I think this layout is for everyone as life is better when we approach it with gratitude. Thanks for stopping by. Have a super creative relaxing day! I used a Mojo Monday sketch, Calypso Paper, and the wonderful Flamingo set “Tickled Pink” and dies to match (which are sold out sadly). This picture collage shows off the different highlights of the card! Just love being able to layer the card with the thin cut dies. The dies cut so much better than my fussy cutting! LOL I love the googly eyes on the flamingo. It makes him that much sweeter. I was tickled at how this card turned out! Celebrate National Stamping Month this September with hand stamped cards designed to help create a little more kindness in the world. The Create Kindness card kit contains all of the supplies needed to create 24 beautiful handmade cards that you can use to brighten someone’s day! The kit can be yours for only $46.95—a 15% savings off the retail value! The stamping and assembly is very simple and easy. At my classes, you will have the option to use colored pencils or watercolor pencils to color in your cards. If you are new to stamping, this is a fantastic way to try it out and have immediate success! There are different M sized sentiments to choose from, 4 are just sentiments no coloring necessary! I think the kit is a fantastic deal because you can use these 8 stamps for years to come in any cards AND in your scrapbooking! Gift tags, lunchbox notes, teacher gifts, journaling cards on layouts, combine together to make a mini accordion album, make a mobile or pretty hanging display, advent / countdown calendar. Create a little envelope (matchbox style maybe) they can stash a few at a time in their purse to leave a thank you for good service, restaurants, newspaper boy, hair stylist etc. I plan to write happy notes in them, and hand them out while I am out and about… as RAK’s to random people who look like they need some ‘Happy’ at that time! The same class will be available at Harbor Scrapbooking’s PA event on September 22-25. Come create kindness with this wonderful kit!! I can’t think of anyone who can’t use this cute cards to forward kindness to those around you! Here a fun Calypso Mini-Album that you could use to celebrate a friend’s birthday or a special event. While you can’t get this particular mini-album anymore, you can use one of the InstaLife albums. There are a few Picture My Life Watercolor Gold used in this album. While they are designed for watercolor, you don’t have to use watercolor on them. There is shimmer trim, wonderful to use because it’s already got the adhesive on it and Enamel and Glitter Duos Blue. Add pockets on the inside covers of the album and pockets on some of the pages. Use the Picture My Life cards from the Calypso paper pack as inserts! Love the bright summery colors. This mini-album is a great project for a Girl Scout Troop, a girls’ night out, and other fun moments. Thanks to April Smith for the inspiration! I used the Lagoon background and texture papers from the Calypso Paper Pack as the 4″x5.25″ panel on the card. I dry embossed the black panel with the Confetti Stars Embossing folder (links to supplies at the bottom of the post). Then I sanded the top to get the white to show through on the stars giving the illusion of white stars on a black sky. I stamped the cat and did some masking to add the mask. I colored the cat’s eyes in green. I added Liquid Glass to the eyes to make them stand out. I stamped the hat and fussy cut out both the cat and the hat! Then the title is cut from the Cricut Art Philosophy, retired and sold out (but I have a few left in inventory). I decided to layer the label and am grateful for Design Space to create this. I stamped the frame in black and the sentiment in Lagoon to match the Lagoon background and texture paper from the Calypso! Be looking for more cards and a layout in future posts. Purrfectly sweet card! Thanks for swinging by my corner of the internet. =) Have a fantastic day! It’s the last month of summer and the kids will be back in school soon. 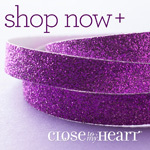 For Close to My Heart (CTMH), we have some great things going on! The Annual Inspirations is live! Take a look at it by clicking in the picture above! It’s fully of wonderful new papers packs, stamps, embellishments, and more. I love what they have done with the Fundamentals and compliments. The new, magnetic ink pads and desk organizing system which are AMAZING. Stacking containers that hold your 12×12 papers, ink pads, and tools!! Stand alone thin-cut dies for great titles and easy cards. I could go on and on but it’s more fun for you to come and check out all the goodness during my Idea Book-Fest on August 6, 2016 from 12-6! Earn tickets for prizes, do a free create and take, get Free Annual Inspiration Idea Book, food, and fun! Because of the “Basically the Best” deal (see below), we’ll be placing your orders at the Idea-Book-Fest so you get the FREE paper too!! I’ll have cash and carry available as well. During the month of August, when you order our Whimsy, Adventure, and Enchantment Fundamental papers, you can choose to get either the Rustic Home or Uptown Fundamentals for FREE! Both of these Basics packs feature foil designs and specialty materials for making your artwork unique. Yep, this deal is basically the best! New CTMH Exclusive Cricut Cartridge!! Flower Market is our new Cricut Cartridge collection and it’s great. Come and see all the fun it can bring to your scrapbooking and paper crafting. You can get this awesome cartridge in either the digital or physical cartridge format. August Stamp of the Month “Purr-fect Halloween” S1608….cute! Love this cat and all the things you can do with it. Lots of practice doing the masking. Come make a FREE, non-Halloween Create and Take at the Idea Book-Fest so you can see how versatile this set is. You can purchase this set for $17.95 or $5.00 with a $50.00 purchase. Calypso is my featured paper pack to wrap up the summer. So welcome August and welcome all the wonderful new and fun we get this month! Thanks for stopping by to find out what’s special with CTMH.